← TEA AND INNOVATION: Are we, like, getting mainstream, now? Okay, so I was wrong. I used to thing English Heritage were a crusty bunch who jealously guarded castles. Like lighthouse keepers, you’re glad they’re there but nothing too much to get excited about. Actually, that’s not totally the case at all. If you’ve children, you must take a look at their website for their family orientated programme. Romans at Wroxeter in Shropshire I can vouch for. Select a venue and then take a look in the bottom right hand corner . There you’ll see a really great use of Flickr. 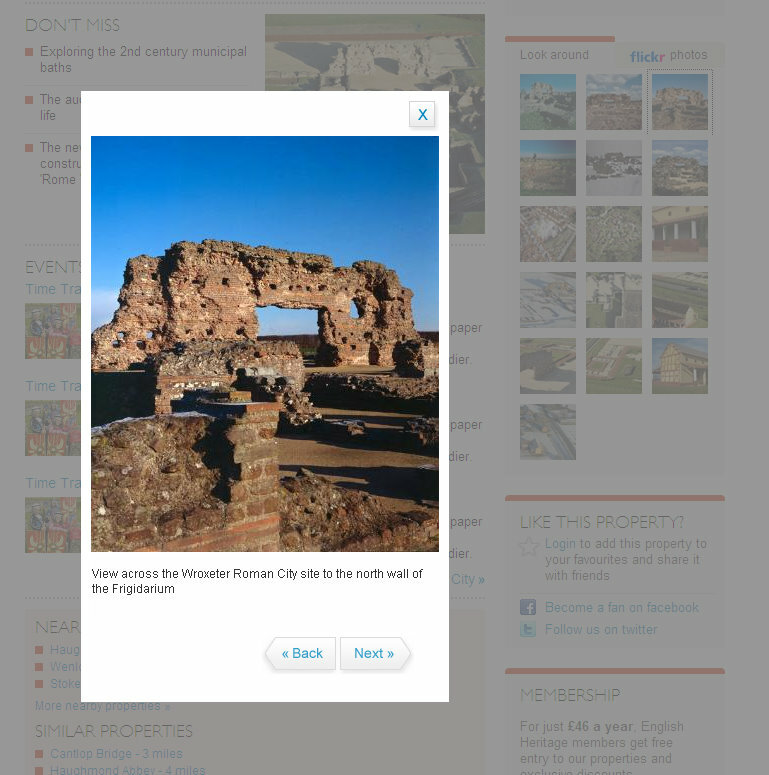 By posting into an English Heritage group you agree that you don’t mind if the image is linked to via the organisations’ website. That’s a brilliant idea. They’re also upfront about it too. Forget leather patched tweed jackets, those people at English Heritage are actually pretty cutting edge. It provide an extra resource for people looking to browse for a place to visit. It creates a presence on a popular social networking site. It builds links with the community who can really feel as though they own a small slice of the website. At a time when budgets are tight and very painful cuts have been made at English Heritage, this is good work by the history geeks. Thank you for the kind words Dan. Flickr is a fantastic place and you can do so much there. We’ve been using the Days Out group for a few years now to let people to share their photos and it also gives new visitors an opportunity to explore more of our properties online. 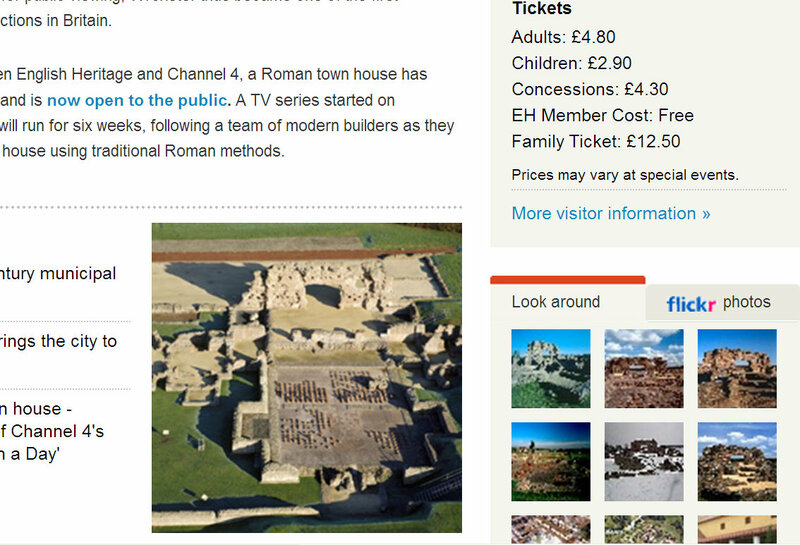 You’re doing brilliant stuff at English Heritage with Flickr. Hats off and thanks for the comment and extra links.